The 10 Forest Parks 30 mile Fling, (sequel to The Forest Challenge previously reported) took place on Sunday 2nd March 2014). This entry was posted in Challenge, Training and tagged 10ForestFling, Training on March 4, 2014 by Aaron. Meeting at the Ozone, Ormeau Embankment 7pm for 7.15 start. Approx 2 hours. All welcome. This entry was posted in Training and tagged Training on January 4, 2014 by Aaron. We will meet at the reception area of the Ozone Complex, Ormeau Embankment at 7pm for a 7.15 start. All comers welcome. Climbers can also meet from 5pm for 2 hours of climbing before the run sets off! This entry was posted in Training and tagged Training on December 2, 2013 by Aaron. B.A.R.F. winter training starts on Thursday 3rd October. 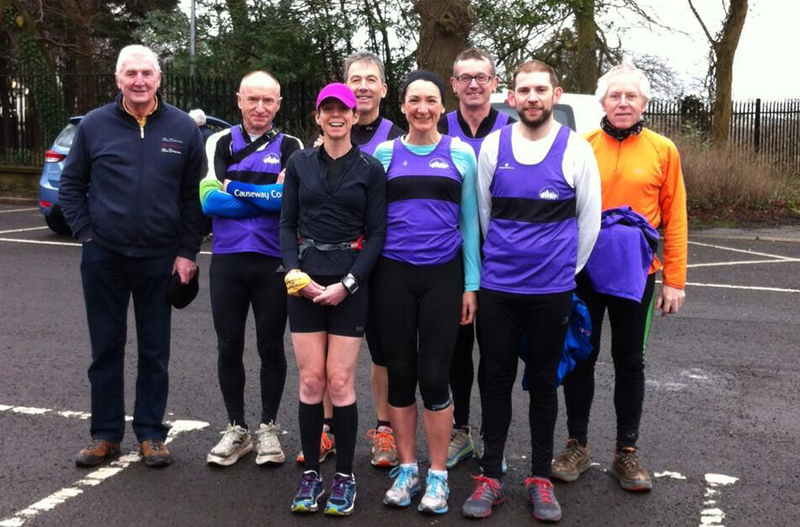 We will be meeting at the reception area of the Ozone Complex, Ormeau Embankment at 7pm for a 7.15 start. All comers welcome. As is our want at the start of any month, a pizza and beer frenzy follows training on Thursday 3rd – venue to be decided on the night. This entry was posted in Training and tagged Training on October 2, 2013 by Aaron.